The Pack-A-Daily Circus (PAD Circus, for short - PAD even shorter) was a fun event I ran for several years here on the blog. In a nutshell, I opened one pack of cards for every day during the regular baseball MLB season. Readers could choose teams or players, depending on the rules of the given season, and then those would be assigned to the participants. The original premise was that each participant would get all the cards they "won" during the season. It was a LOT of fun to do! But, the sticking point came in that last bit: they were SUPPOSED to get the cards they pulled during the season. As it turns out, only the very first season or two actually netted anyone getting any cards. There is no one and nothing to blame but myself for that, and that is where we pick things up. While cleaning out the home office today (Feb 2, 2019), I came across a BUNCH of cards from the old PAD Circus programs. They are unsorted and are completely mixed together. A responsible handler of such things would dutifully go back through all the posts and figure out which cards belong to which participant. Alas, I am not such a person. Instead of going back to figure all that out, I am taking the "beg forgiveness, take another route" approach. 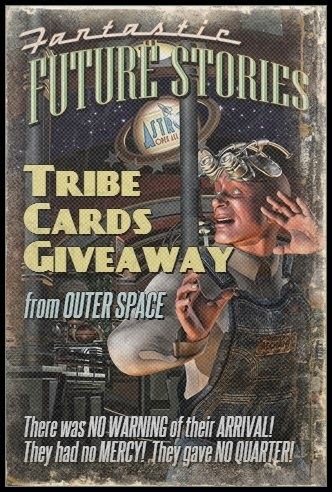 You see, my revised method of giving these cards away is this: Use the GOOGLE FORM HERE to request a team! Please only one team per person so that everyone gets a chance. That's right - pick a team, get a BUNCH of cards! Not only will there be cards from the PAD Circus years, but I am including whatever cards I happen to have sitting around. This includes my charity A&G Hobby Case Break, any packs I've opened during the last few years, etc. ALL FOR FREE!! Yours for the asking! Use the google form link above! NOTE: I will attempt to go back and refund any money given to me from PAD Circus. I know some of you donated money to help with shipping etc. I apologize for dropping the ball on these. Cool Deal. Form filed out. Thanks for this nice gesture. I will go ahead and take you up on this. Thank so much. Always fun that PAD Circus. PAD were always fun posts. Watching to see if one of your cards got pulled that day and having a little mini celebration when one got pulled. It was a fun daily read I think I got all mine but will stick with the Blue Jays. Wow, so late to the party! My research leads me to conclude that the team I wound up with back then is long gone...so I went with another team. Thanks for the offer! I enjoyed the PAD posts and appreciated your huge undertaking!